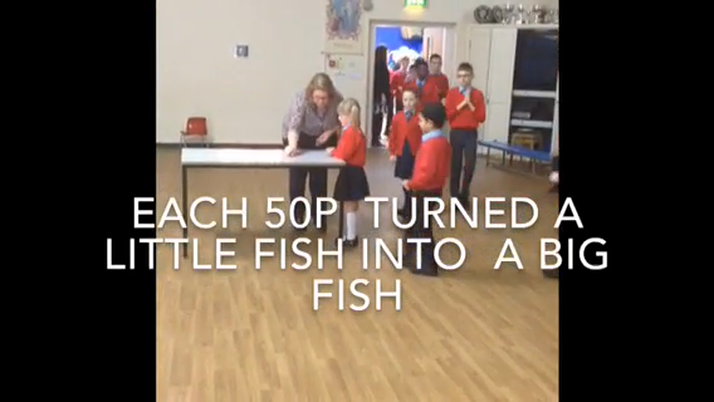 At the beginning of the week, our School Council and GIFT Team led a collective worship to introduce the CAFOD Lent theme 'Turn little fish into BIG fish'. On Friday, CAFOD FAST DAY, we processed into the hall and placed 50 pence pieces, which we had donated, onto the table with fish shaped candles. Our actions enabled us to raise enough money to support a community in Zambia to build 4 new fish ponds and buy 338 starter fish. Thank you to all the families who donated their 50ps. We also welcomed Mrs Andrea Allcock to our 'Special Mention' assembly. Mrs Allcock works as a volunteer for CAFOD. She reminded us of how important it was to think about the communities that need our support. On behalf of CAFOD, Mrs Allcock thanked us for our generosity.